Very pleased with this follow-up visit after hospital stay. Dr. was patient, thorough and clear in his explanations. I feltthat he put my anxiety to rest and left office feeling much better. Very pleased with this follow-up visit after hospital stay. Dr. was patient, thorough and clear in his explanations. I felt that he put my anxiety to rest and left office feelingmuch better. The office staff is very friendly and efficient. It made getting the apt easy and had clear next steps. I wouldrecommend going back. Doctor very friendly. The office staff is very friendly and efficient. It made getting the apt easy and had clear next steps. I would recommend going back. Doctor very friendly. While practicing at Crystal Run Healthcare, Dr. Neel Khanna focuses on all aspects of a patient's experience, which drives him towards excellence in providing healthcare. He is a concerned cardiologist and interventional cardiologist, currently looking after the communities of Monroe and Newburgh, NY. He is bilingual in English and Hindi, and therefore, popular among patients from different backgrounds. Dr. Khanna attended the State University of New York, Downstate Medical Center, where he earned his medical degree. He completed his master’s degree in public health and pursued a residency in internal medicine at the same university. He further chose to complete his fellowships in cardiology and interventional cardiology at New York Medical College, Westchester Medical Center, and Lenox Hill Hospital. Dr. Khanna’s additional training in cardiology allows him to treat many complex disorders such as coronary heart diseases, congestive heart failures, and aortic diseases. He is certified in cardiovascular disease and interventional cardiology by the American Board of Internal Medicine. 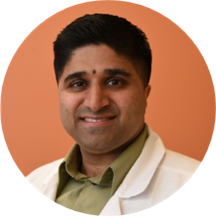 Dr. Khanna’s practice philosophy is to provide holistic and evidence-based care. He takes a genuine interest in researching and educating himself on various new advancements, so his patients get the best and the most advanced treatment possible.